Before we know it summer will be here and many Edmonton summer camps are now open for registration and that included MacEwan Explorers Summer Camp. Lead by the professional educators that have a passion for assisting children in embracing their inner explorer that is facilitated through creating playful and innovative experiences – it’s a summer camp experience that your child will love! The MacEwan Explorers summer camp is holding their 3rd year of summer camps and this year brings different themed camps for kids 6-10yrs old. Dig deep into history! Participate in a hands-on fossil excavation at the Royal Alberta Museum. 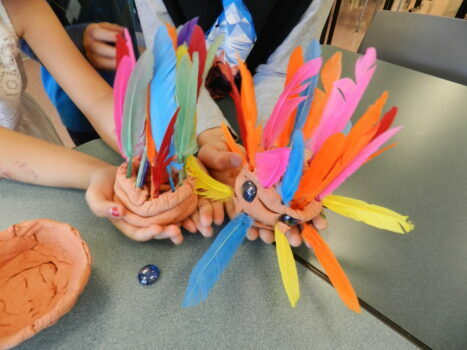 Learn about culture from an anthropologist, discover tools of the trade on a scavenger hunt, uncover artifacts and make one of your own to take home! A jam-packed week of activities across the science spectrum—investigate aquatic ecosystems, study bugs, make ice cream using nitrogen in a real science lab, learn about coding, discover why bees are all the buzz, plant flowers and make a mini hydroponic garden to take home! Take action for a cause! Discover your superpower, create a superhero cape and use your unique talents and abilities to make a BIG difference in the community! Dive into social entrepreneurship and turn an idea into a product with a purpose that supports a local charity! 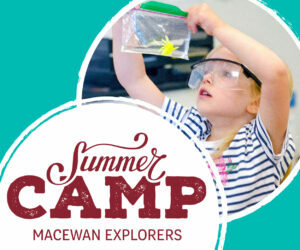 Until May 15th save $30 on the cost to register your child for MacEwan Explorers summer camps $240/child per week. After May 15th, the regular rate for summer camp is $270/child. 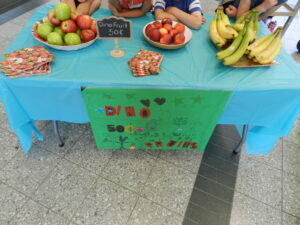 An afternoon snack is provided with the camp fees, however, you can also pay $50/camper to add hot lunches. Lunch options will be nutritious and made fresh by the catering at MacEwan. Options in the past have included penne pasta, pepperoni pizza, and other child-friendly favourites.